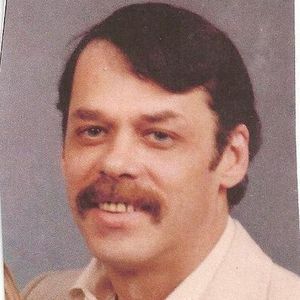 CENTRAL CITY – Gerald Thomas "Tommy" Teague, 62, died Friday, July 6, 2012 at Owensboro Medical Health System in Owensboro. He was born November 19, 1949 in Muhlenberg County, KY. Was a maintence supervisor for the Tennessee Valley Authorty and a member of the Central City First Baptist Church. He is preceded in death by his parents, Robert Teague and Bertha Strode and brothers, Jerry Teague and Roger Teague. Survivors include his wife, Belinda Ortkiese Teague of Central City, a son, T.J.and Kelly Teague of Central City, a daughter, Carson Teague of Bowling Green, three grandchildren, Delaney Teague, Slaton Teague & Teagan Paige. , brothers, David(Becky)Strode and Keith Strode both of Central City, four sisters, Becky Baggett, Beverly(Ricky)Byars, Trudy(Jimmy)Moore and Karen(Ryan)Bingham all of Central City. Graveside funeral services will be held Monday, july 9, 2012 at 3:00 PM at the Fairmount Cemetery in Central City conducted by Rev. Bob Lowery. Visitation will be Monday after 12:00 Noon at Tucker Funeral Home in Central City. Belinda, I just received the news that your husband passed away. I am so sorry for your loss. I would like to extend my deepest sympathy to you and your family at this sad time. I am saddened by your loss and hope that the memories of a great husband and father help assuage your grief. I can picture him smiling while playing chess, spades or sitting on a motorcycle. He loved life. May God give you and your family comfort and peace during this most difficult time! I thought the world of Tommy and I have alot of good memories from working in and around the house. He would always have me take a break to take a ride with him on the golf car. He will be missed dearly by me and all who knew him. My thoughts & prayers are with you at this time for comfort & peace until you are together again. Belinda and children...May God just give you peace you need in this time of sorrow..So many memories of Tommy to share....He was one of kind guy in my book from our Class of 1967..Not able to do anything but pray for you Belinda that God gives you and the children comfort. you each seek at this time . Fond memories of earlier days with Belinda, Tommy and others-felt so young and invincible -but we're not-love to the family. I hold so many loving memories of Tommy. He lived with us in Central City when I was a senior. My mom married Gene Thompson and we lived on mill St. (I think) in Central City. Later in life He and Belinda and Billy and I used to play cards and watch Saturday night live on TV and have the best times. We all use to go to Lake Malone when Billy and I had our boat. My memories of Tommy were some of the best times of my life and I will forever reminder. Belinda, TJ and Carson, God Bless you and keep you comforted in this time of loss. We will see Tommy again someday and he will have his loving arms opened wide for us. Gosh I have been a FRIEND of Tommy's 50yrs +....Have such fond Memories of our childhood/ school years......Belinda ~~ TJ ~~ Carson...Prayers will continue!!!!! Belinda You are & were "AWESOME" Wife to Tommy..... Just know We are ALL here for any of you all.....Love you all!!! !